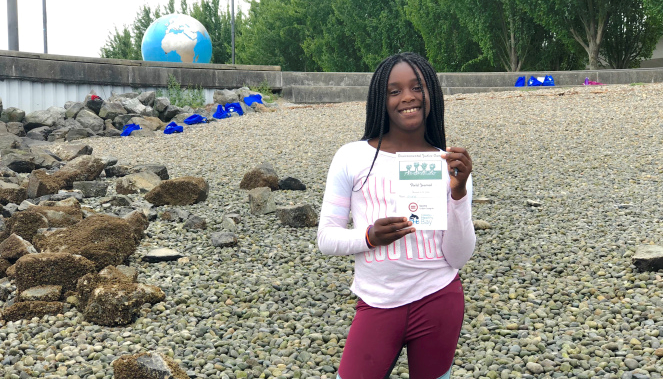 The Environmental Justice Camp was a new opportunity T’wina developed, an addition to the fun, educational programming she offers girls of color through her program, Ladies First. 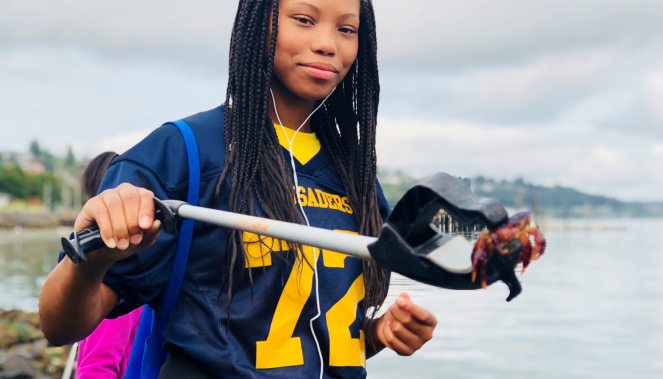 “I believe in the power of exposing young people to things that can change their lives forever. 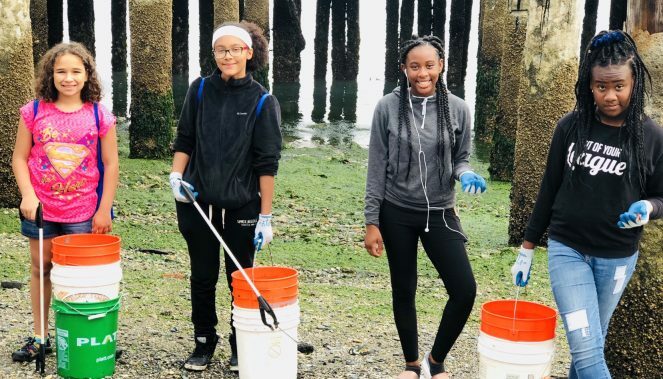 So if I want more girls to be thinking about science and STEM or believing that they can be a chemist, a biologist, or something in that field then I want to do my part by putting it in front of them.” She brought the idea to life through a Spark Grant from GTCF and a partnership with Citizens for a Healthy Bay. 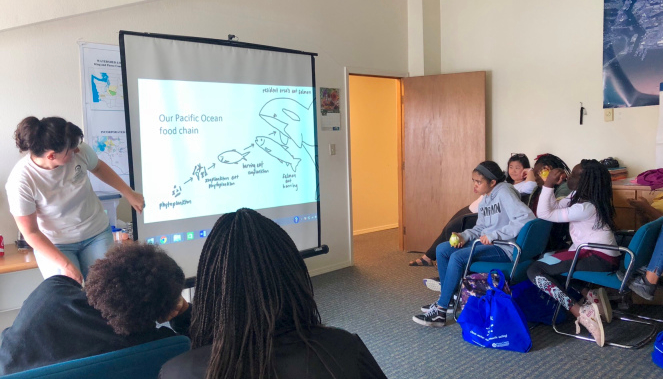 Citizens for a Healthy Bay’s Executive Director Melissa Malott and Project Manager Erin Dilworth gave campers the opportunity to learn from women leading environmental justice work locally. 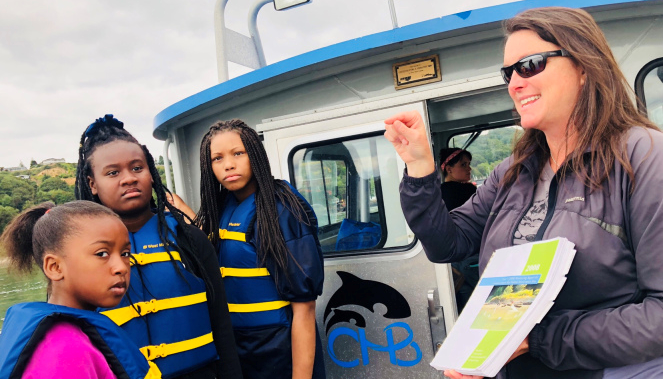 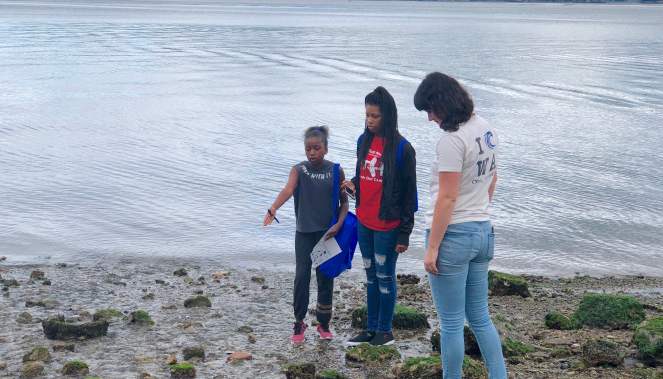 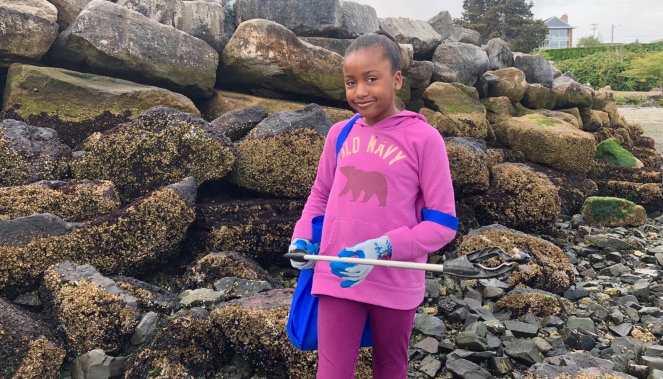 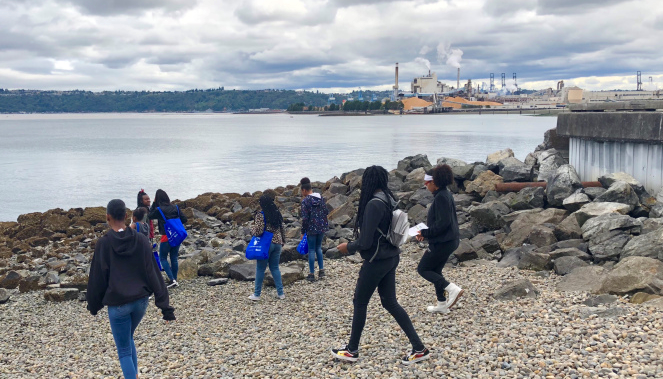 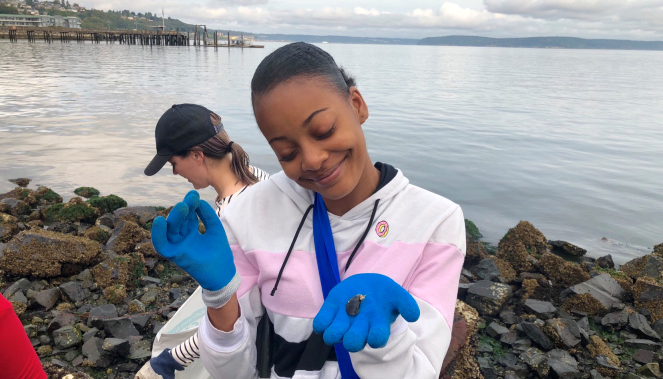 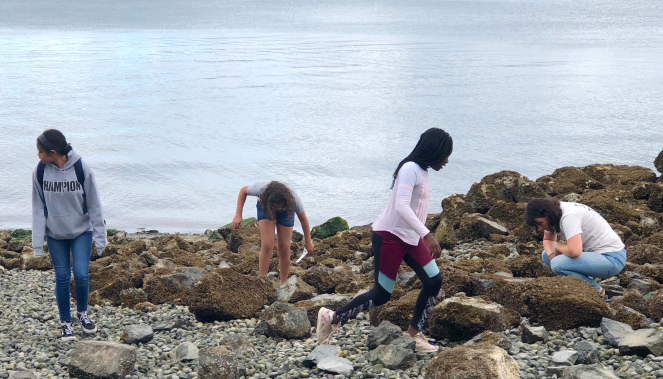 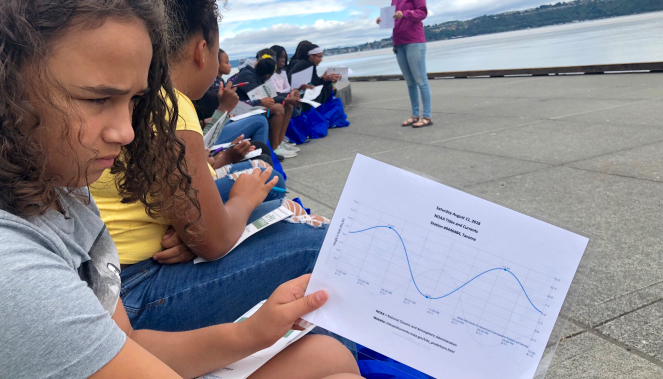 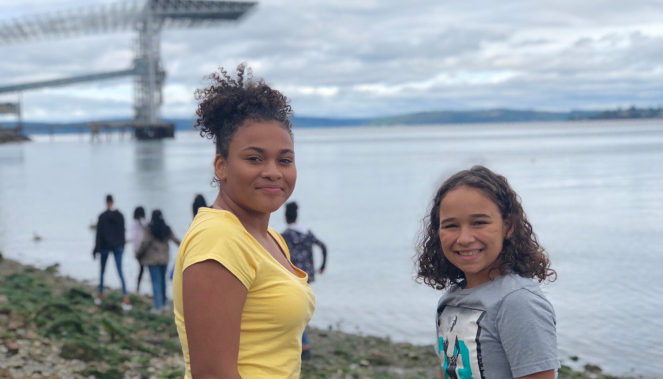 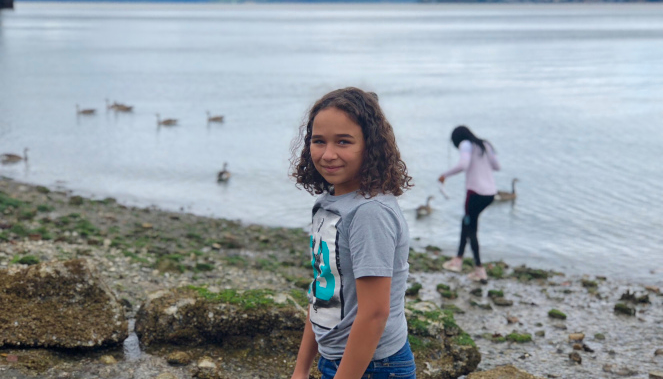 Over the course of the two-day camp, the girls cleaned up beaches together, learned about microplastics, explored the Foss Waterway, conducted labs, created an art project, and went out on a boat to patrol Commencement Bay. 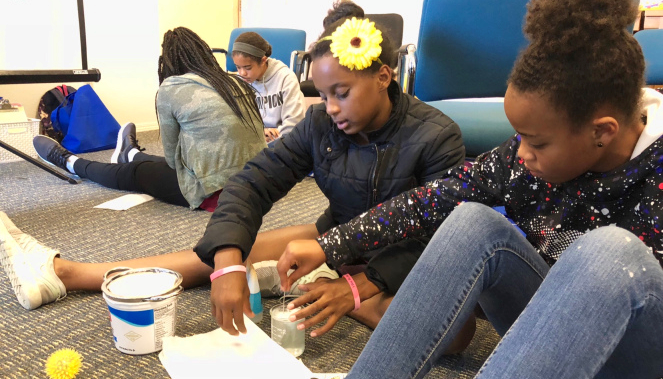 The culminating project was writing a “Letter to the Editor” to explain what they learned and describe a change they would like to see. 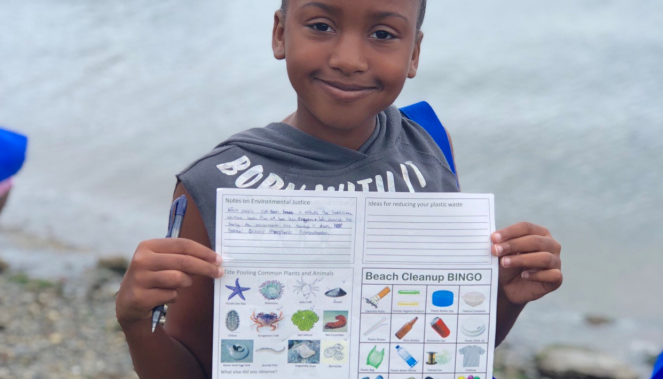 Several wrote about their plans to reduce their use of plastics based on their new understanding of how they impact both sea life and humans. 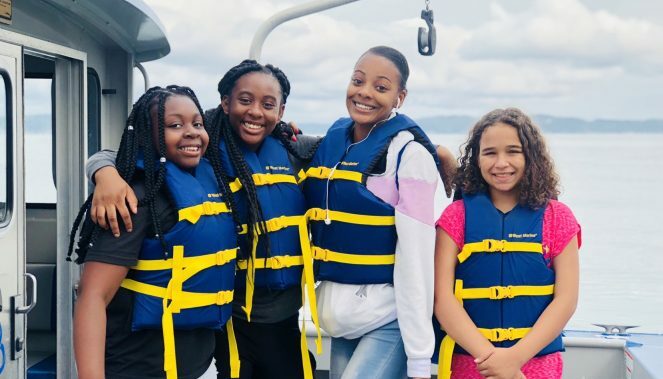 T’wina’s passion for providing positive learning experiences for young women of color connect back to her youth. 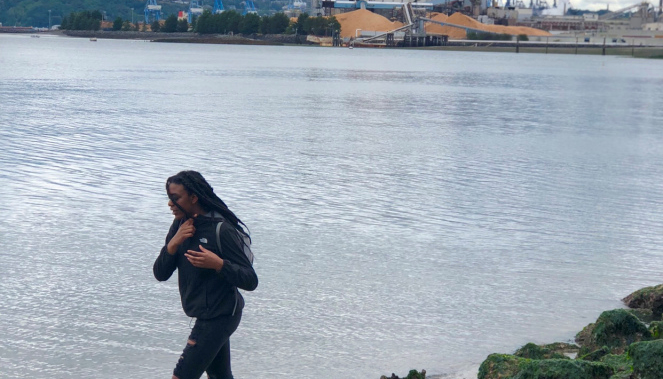 Growing up in the foster care system with a mother who was an addict, she experienced a lot of abuse, neglect, and even seasons of homelessness. 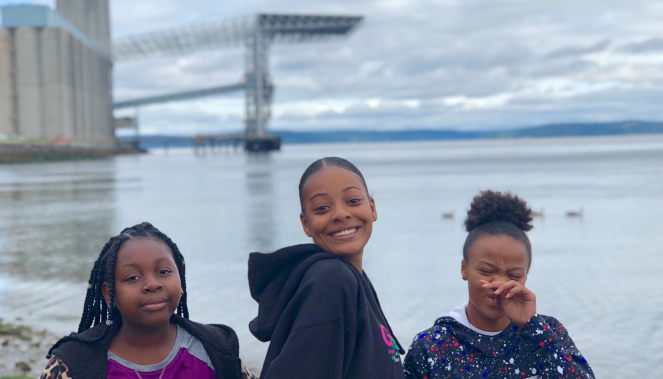 T’wina became a mother when she was still in her teens. 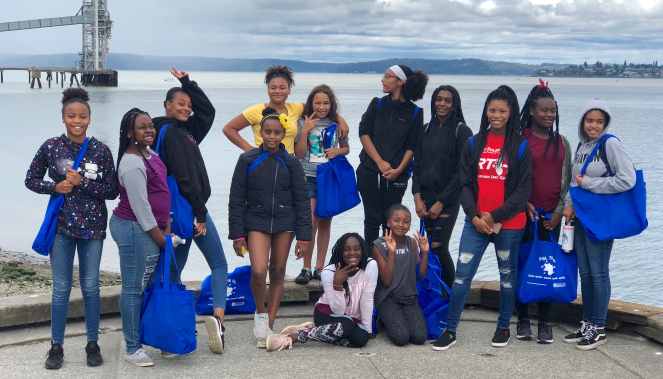 T’wina’s work developing the Environmental Justice Camp and other unique educational experiences for girls of color showcases the type of grassroots leadership and change GTCF supports with Spark Grants. 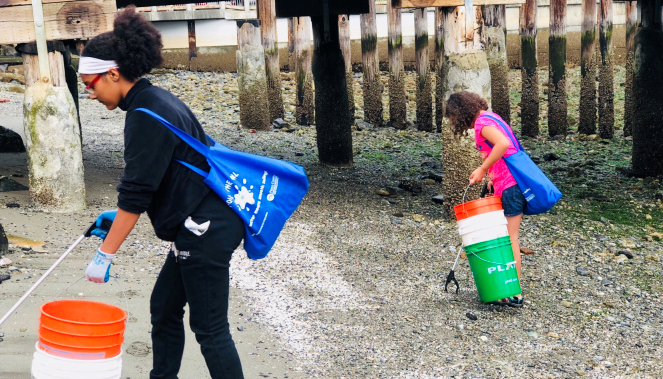 If you have an idea that addresses an important need in Pierce County, or you know someone else who does, applications for the next round of Spark Grants are open now through October 2018. 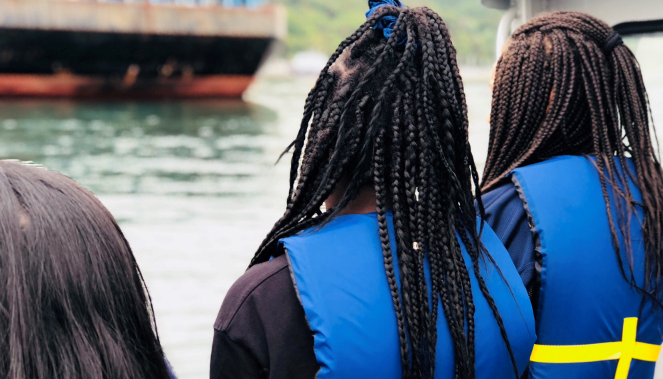 For more information or to apply click here.